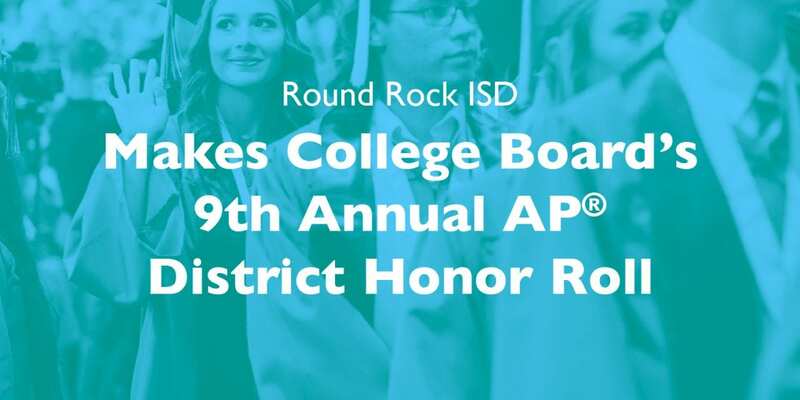 To be included on the 9th Annual Honor Roll, Round Rock ISD had to increase the number of students participating in Advanced Placement classes since 2016, while also improving or maintaining the percentage of students earning AP Exam scores of three or higher. Reaching these goals is part of the District’s efforts to support and successfully develop students to be academically prepared for college-level work. Since 2016, the total number of AP students in Round Rock ISD has increased 20 percent, from 3722 to 4483, and the total number of AP students scoring at three or higher jumped 22 percent, from 6206 to 7600.